Many migrants do not speak the official language of their host country. This linguistic gap has been found to be an important contributor to disparities in access to services and health outcomes. 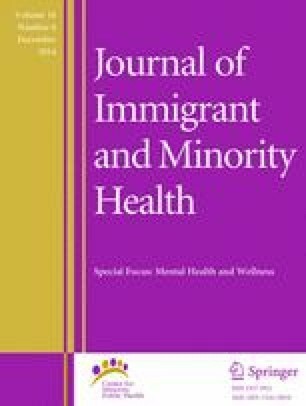 This study examined primary care mental health practitioners’ experiences with linguistic diversity. 113 practitioners in Montreal completed a self-report survey assessing their experiences working with allophones. About 40 % of practitioners frequently encountered difficulties working in mental health with allophone clients. Few resources were available, and calling on an interpreter was the most common practice. Interpreters were expected to play many roles, which went beyond basic language translation. There is a clear need for training of practitioners on how to work with different types of interpreters. Training should highlight the benefits and limitations of the different roles that interpreters can play in health care delivery and the differences in communication dynamics with each role. This study was funded by the CIHR (No. PHE 101540) and the FRSQ (No. 22031). Our special thanks to the participating HSSCs (de la Montagne, de Bordeaux-Cartierville-Saint-Laurent, de la Pointe de l’Île, de Saint-Léonard et de Saint-Michel, du Cœur de l’Île, d’Ahuntsic-Montréal-Nord) and crisis centers (Le Transit, Ouest de l’Île, Tracom). Thank you also to the decision-maker authorities involved in the project (Ronald McNeil from the MHSS, Isabelle Hemlin from the Montreal HSSA, Nicole Lachance from the Quebec City HSSA, and Marlène Yuen from the de la Montagne HSSC), to Nadine Forget-Dubois for statistical advice, to John Kingma for proofing the manuscript and to the students who helped in the collection and capture of data (Alexandra Matte-Landry, David-Emmanuel Hatier, Guillaume Rodrigue and Jean-François Caron). Lowry R. Calculator 3: significance of the difference between the results of two separate polls. 2008. Available at: http://faculty.vassar.edu/lowry/polls/calcs.html#ca3. Accessed 28 Aug 2013.